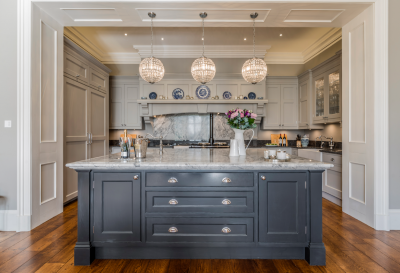 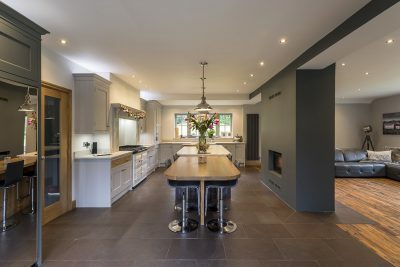 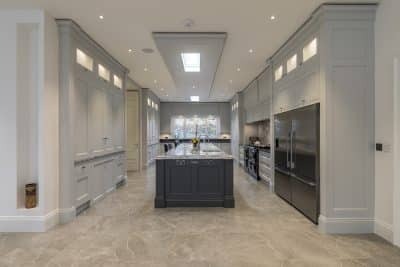 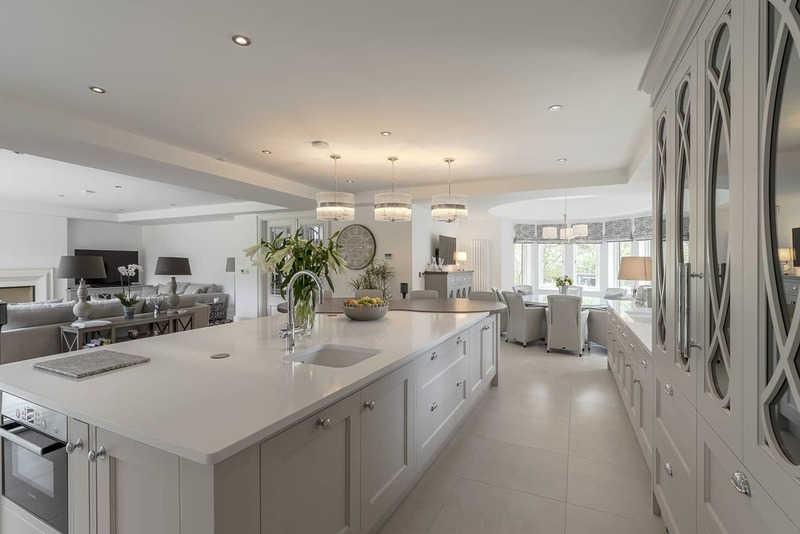 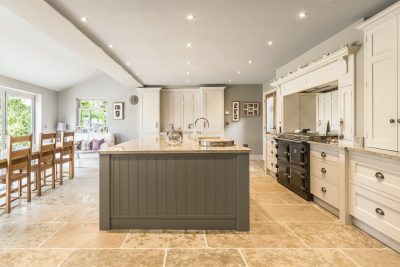 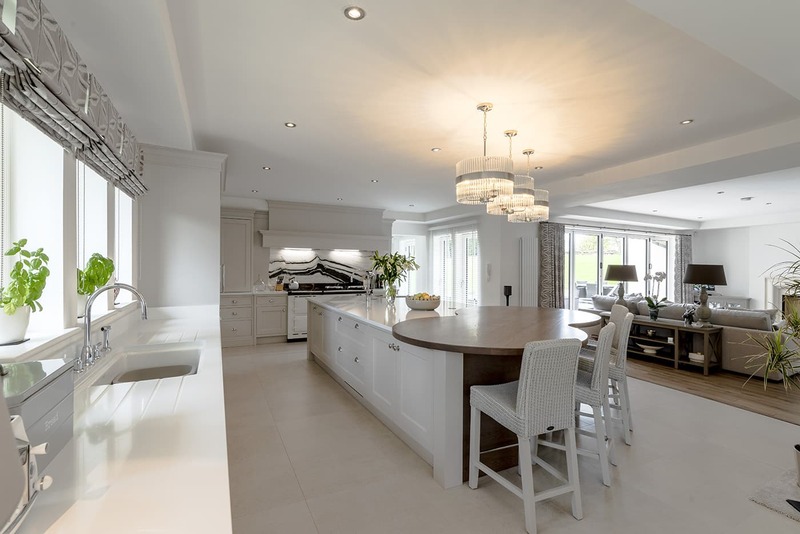 This stunning handmade kitchen is the pinnacle of elegance. 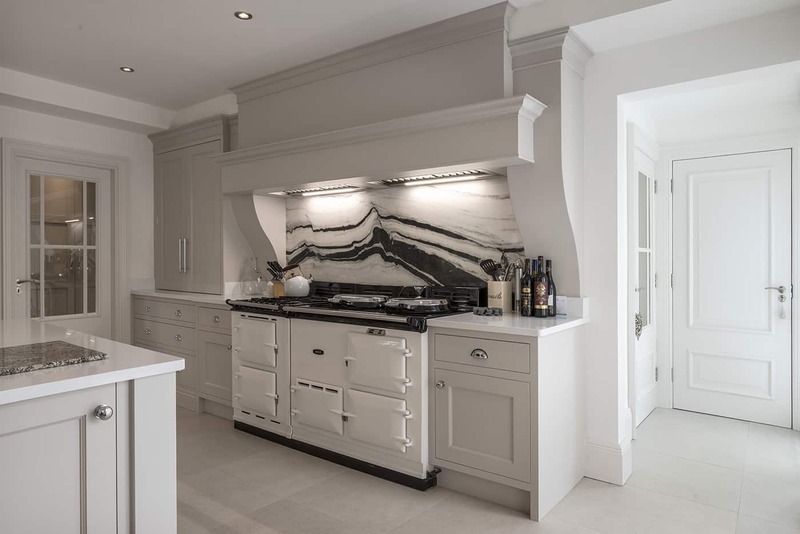 The Panda White Marble is the perfect backdrop to the stunning range cooker. 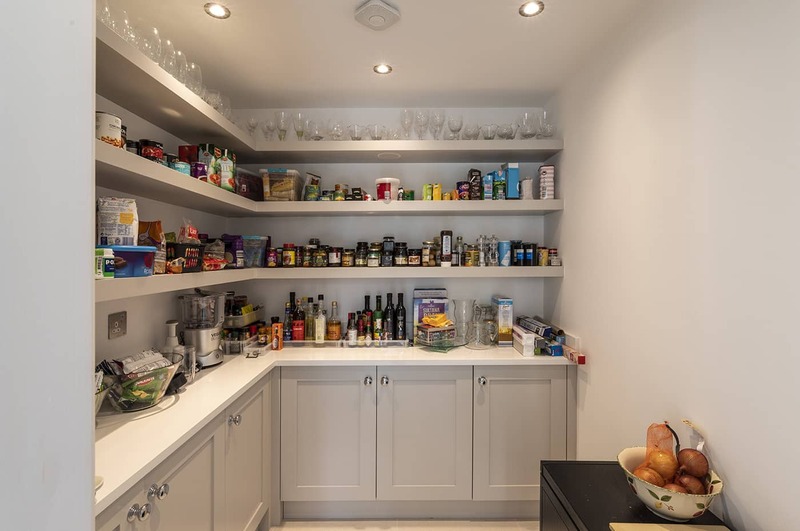 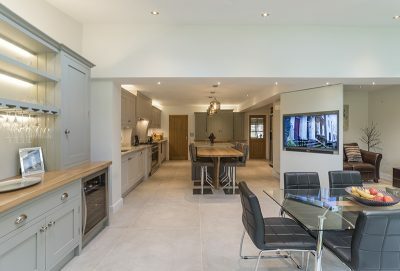 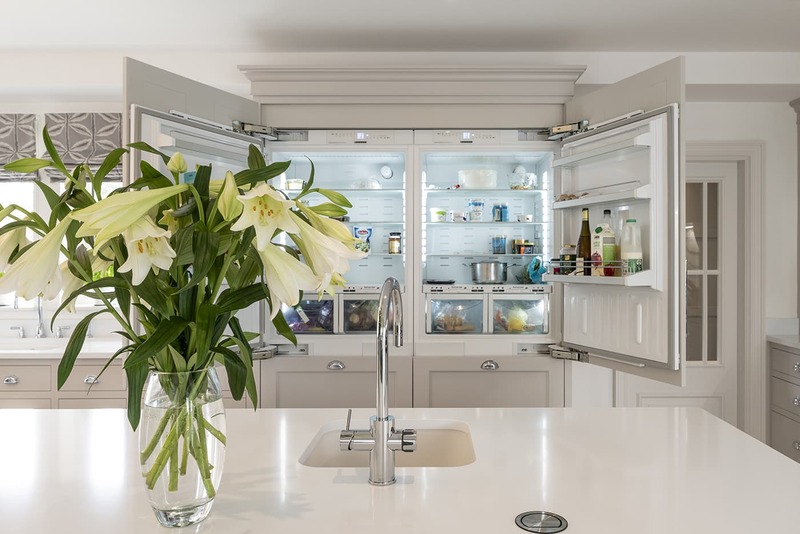 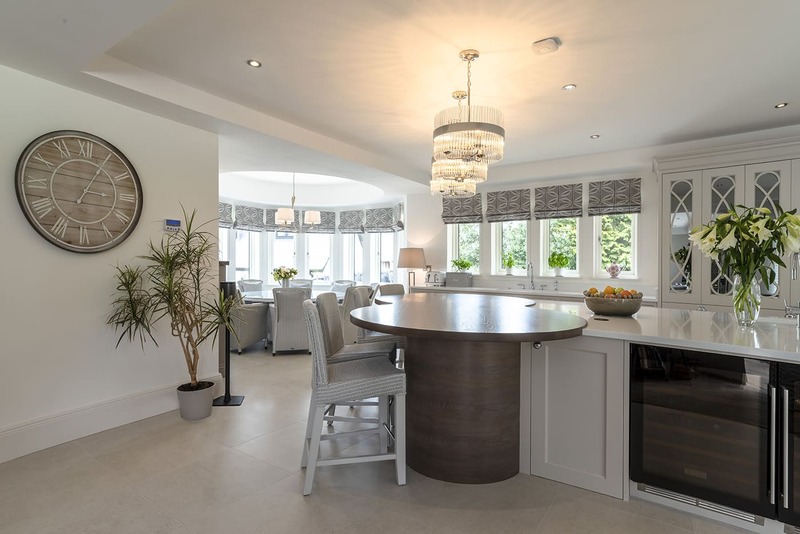 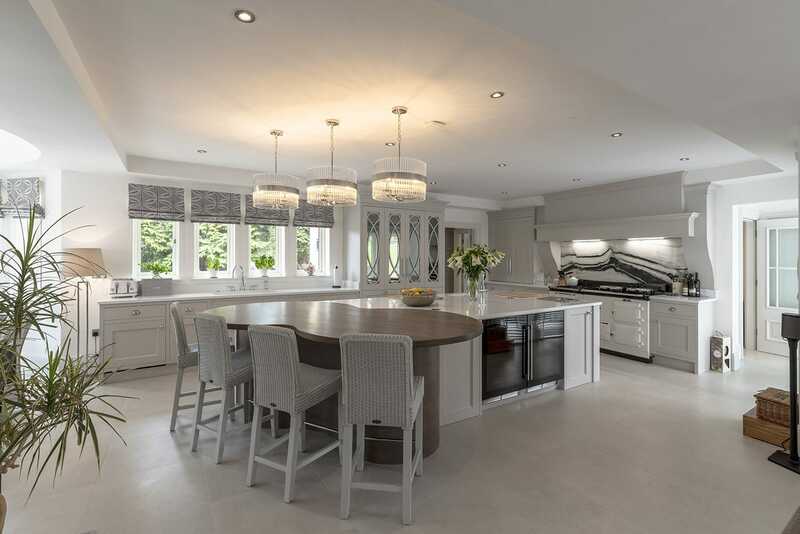 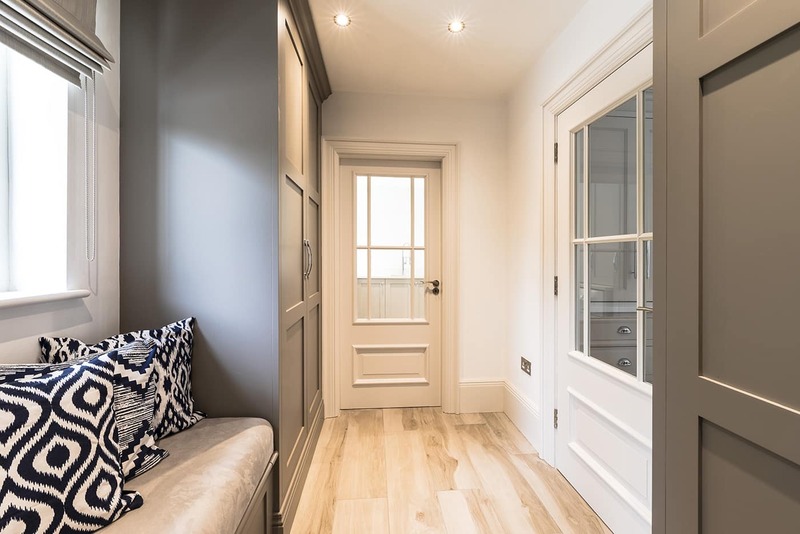 The imaginative use of the ornate fret work showcases the mirrored doors, whilst cleverly hiding the appliances. 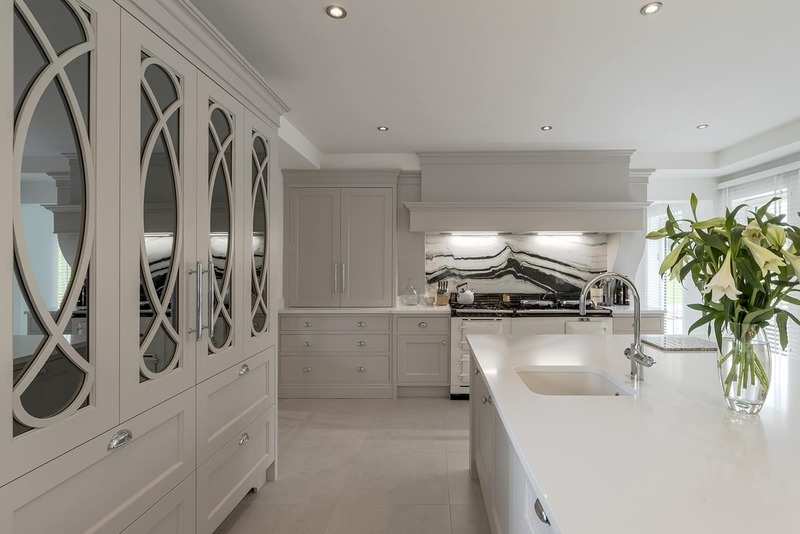 The curved, stained oak breakfast bar compliments the curves of the fret work whilst providing a contrast to the neutral elegance of the cabinetry.